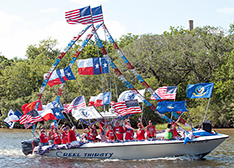 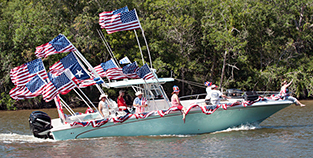 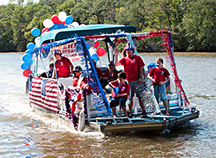 It was a flotilla of red, white and blue as seventeen entries in the 8th Annual July 4th Boat Parade traveled down the San Bernard celebrating Independence Day on July 6th this year. 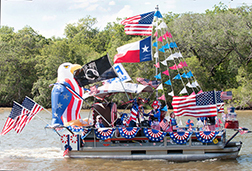 Boats measuring 12’ to 50’ long and decorated in all things American were cheered on by flag waving spectators standing along the riverbank. 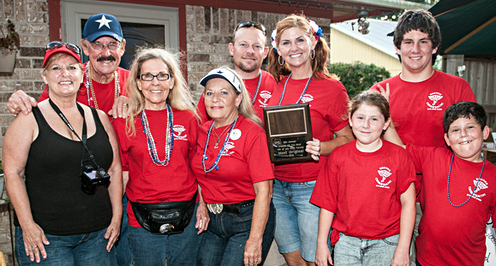 Photo of Wardlaw Crew, Sound Category winners, unavailable.